On Saturday February 3rd meet at 12.30 by the mini roundabout outside Jubilee Wing / A&E at LGI for the nation-wide day of protest. 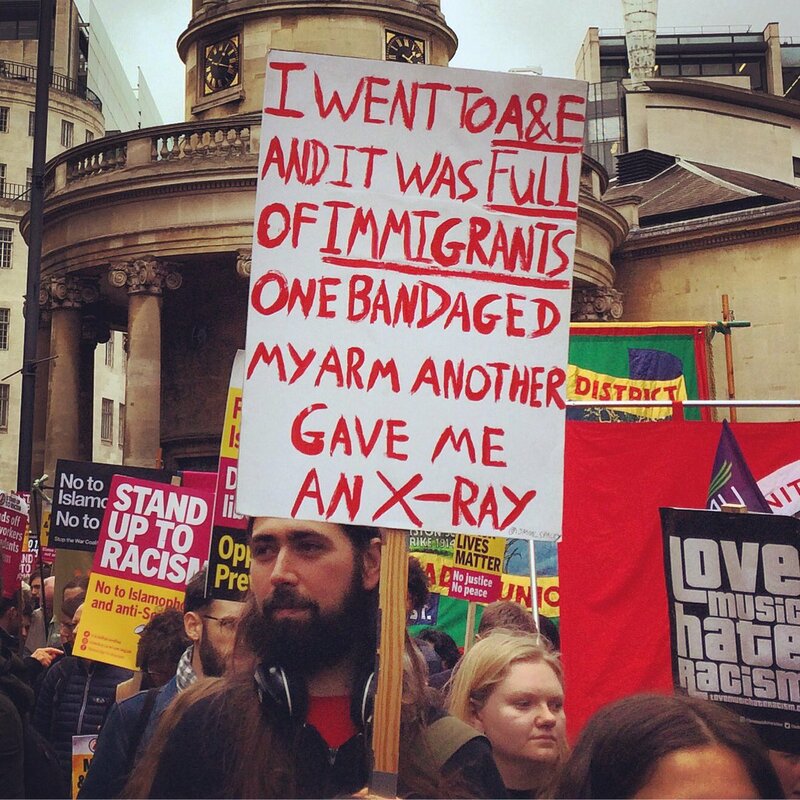 Join the Leeds Stand Up to Racism bloc to send the message – blame cuts and austerity not migrants for the NHS crisis. If we are to defeat the rise of racism, we need a united movement of everyone who opposes it. The #MarchAgainstRacism is a chance to bring that movement together and show that we will not be silent. In the face of this historic challenge we need to make 2018’s march the biggest yet. Merilyn Moos is a retired lecturer, writer about the effects of Nazism, and anti-racism. Both her parents were anti-Nazi activists in Germany before the Nazis took over, who became political refugees as a result.